Remember S.W.A.K.? For anyone too young to know– that’s what you wrote next to the lipstick kiss on the back of letters to your boyfriend. (Not that anyone writes letters anymore.) S.W.A.K. Sealed With a Kiss. 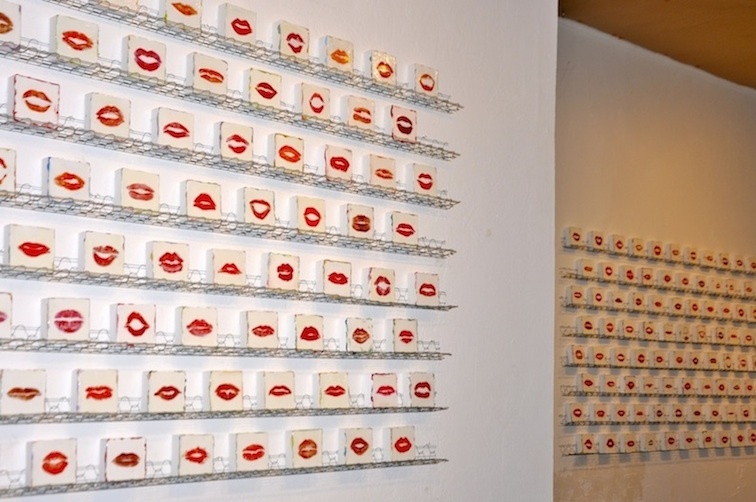 Actually the lips in this image belong to a man—one of hundreds of people persuaded to put on lipstick and leave imprints now turned into works of art called The Lips Project—-a collection created by California artist Susan Thacker. Appropriately, it all started around Valentine’s Day. Two years ago, Susan suddenly realized she hadn’t bought a card for her boyfriend, Eugene Merinov, who lives in New York. So she grabbed a notecard, put on red lipstick, kissed the card, and mailed it off for Valentine’s Day. “By profession, Eugene is a Master Printer, and by nature, more romantic than me. Hours after receiving my mailed kiss, he enlarged the image and printed dozens of them, wallpapered his office with them, then sent many back to me. 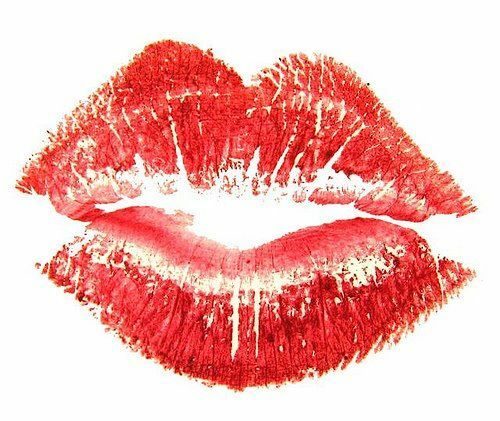 I heard about this about a year ago at lunch with Susan and a few friends, when she asked us to put on lipstick and pucker up, leaving our imprint on white index cards. We couldn’t wait to see what she was going to make of them. I’m not sure at the time she fully knew herself. What a kick to collect kisses–from friends and sometimes even from strangers. And after a divorce and a move from Los Angeles to Monterey, missing her family, friends and her former life, being surrounded by imprints that represent love ended up creating more than art. “Capturing my friends’ lips and sealing them into art was surprisingly healing. I wanted people to know how grateful I was for memorable moments. 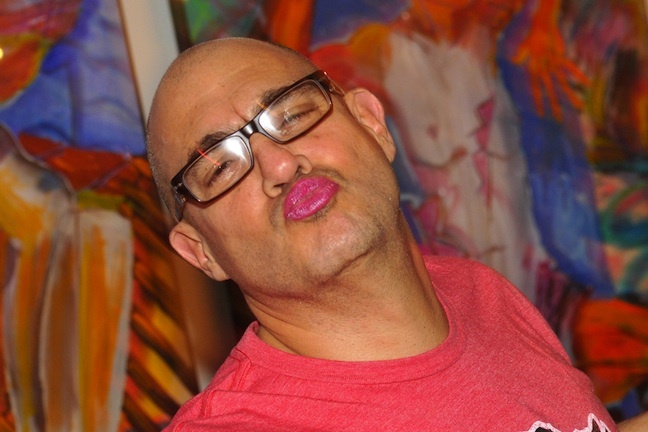 I marvel at the amazing people who agreed to put on lipstick. Doctors, lawyers, dentists, many talented artists and musicians and writers, scientists and psychics, Holocaust survivors, Cuban refugees, film directors, Grammy winners, Emmy winners, masterful professors and favorite students, my children’s enlightened friends–Exceptional spirits, all of them! Kisses have arrived in my mailbox from friends aged 2 to 92 from all parts of the United States, Australia, Africa, and Europe. Such a sweet story for Valentine’s Day. 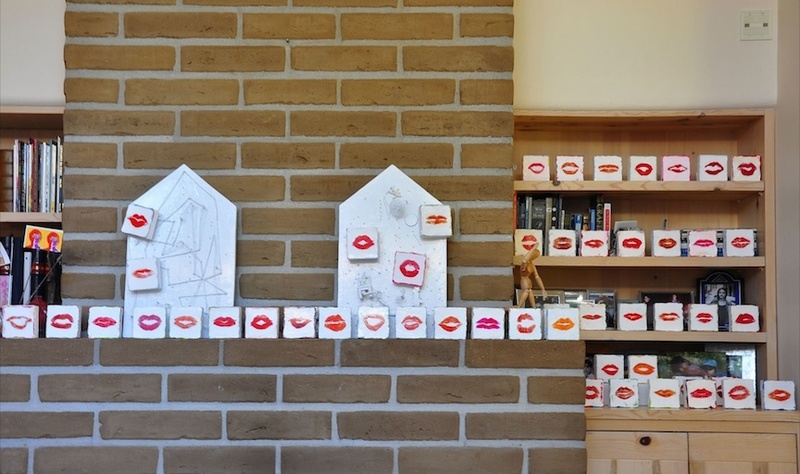 I’m honored to be one of Susan’s kissers; and I can’t wait to see the full impact of the Lip Project at the opening tonight, on exhibit for the first time in Monterey. 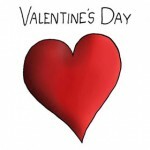 Happy Valentine’s Day to everyone—S. W. A. K.
May all your kisses be chocolate. 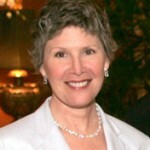 To see more work by Susan Thacker, visit her website. L O V E this…thanks! What a great idea. I’ve used the kiss myself, a number of times…but only with a romantic interest. This is far better!